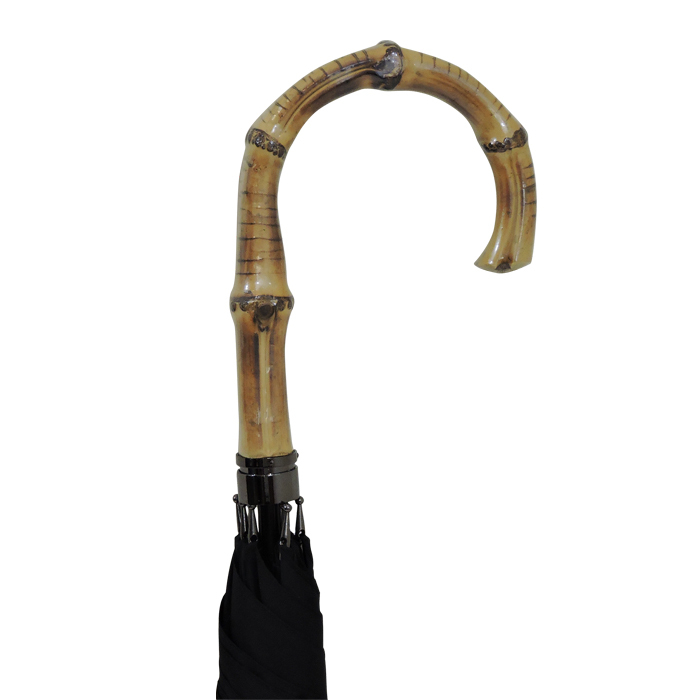 Take a look at this great quality traditional Bamboo Cane Walking Umbrella. 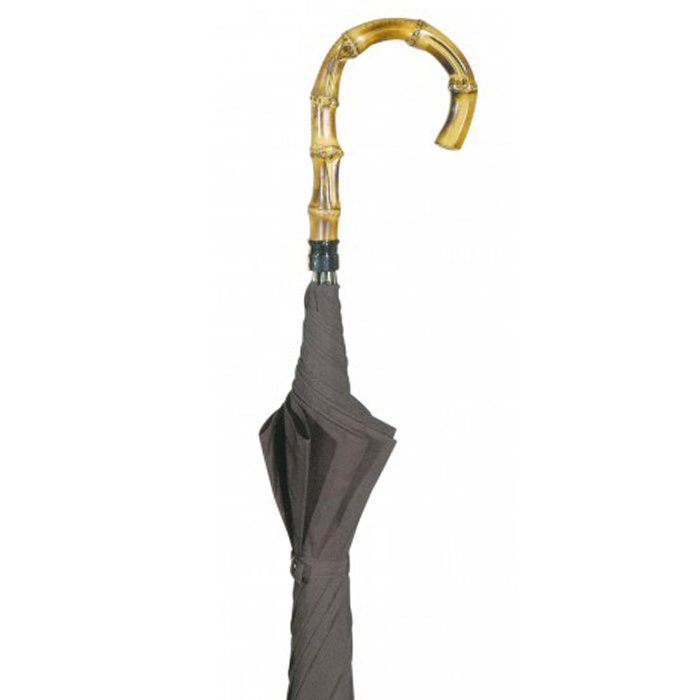 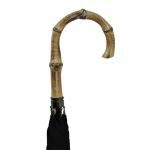 With a genuine whangee bamboo cane crook handle this stylish manual opening walking style umbrella looks good both in town and countryside. 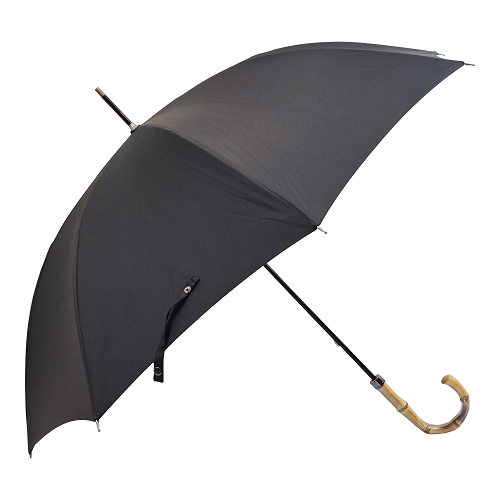 Finishing touches include a smart integral, sliding spoke tip holder, rounded metal spoke tips, tie wrap press stud and end tip finial all in matching gun metal grey. 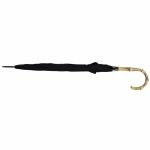 The length of this 8 panelled black canopy, traditional bamboo cane walking umbrella is 96cm (38 inches) from tip to handle. It has a canopy width of 100cm (39 inches) and weighs just 375 grams. 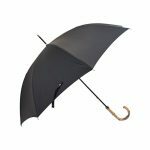 Modern flexible, wind resistant fibreglass ribs bring this traditional bamboo cane walking umbrella into the 21st century – suitable for both ladies and gents. 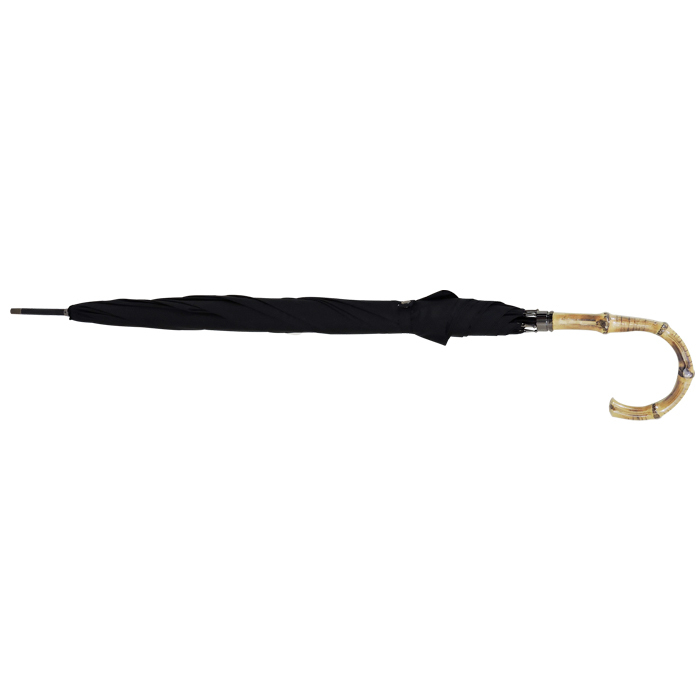 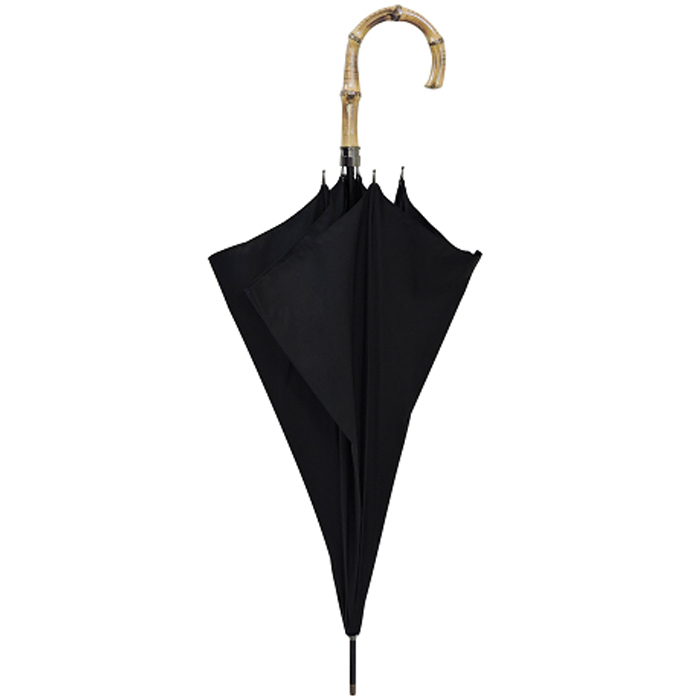 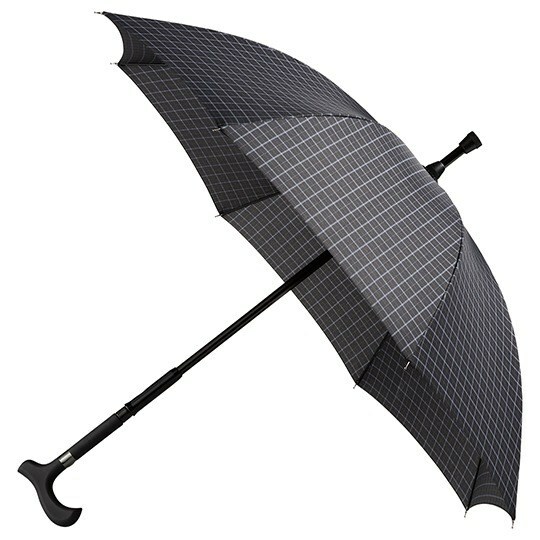 This classic cane umbrella looks like those you sometimes see in those old black and white movies. 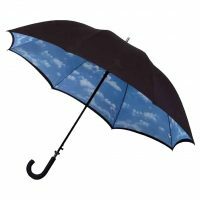 Every umbrella collection should have one of these. 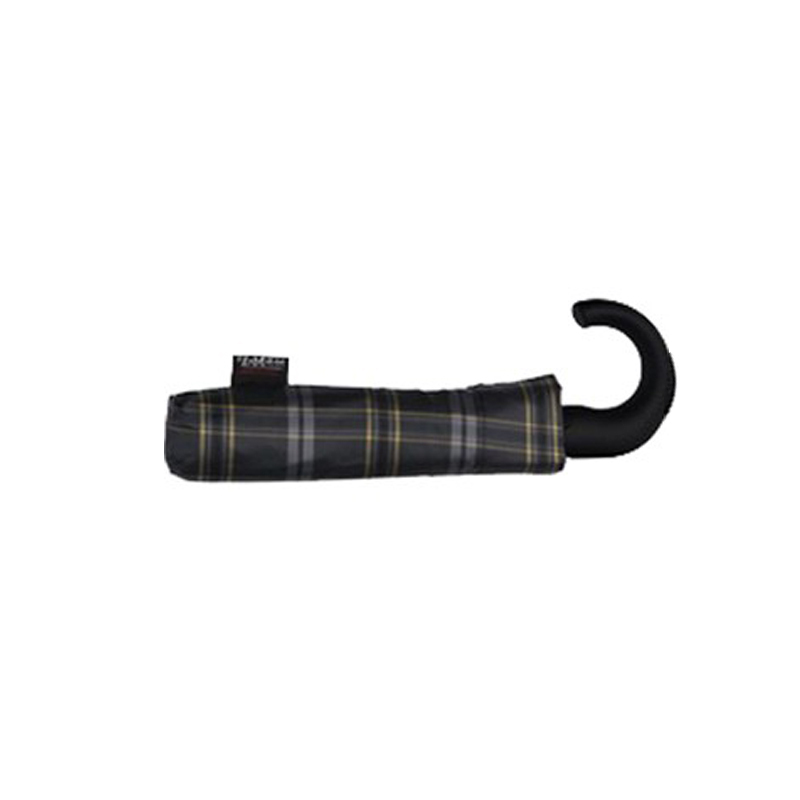 They’re extremely elegant and surprisingly lightweight – great for walks in the country, yet also makes a smart accessory for the man about town.